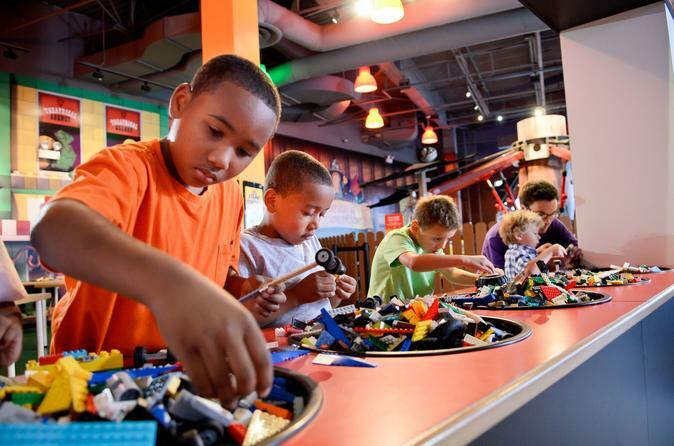 LEGOLAND® Discovery Center, a giant indoor LEGO world designed for families with children aged 3 to 10, is located in Schaumburg's Streets of Woodfield shopping center. The 30,000-square-foot attraction features activities ranging from hands-on LEGO play to life-sized LEGO adventures designed to provide several hours of family entertainment centered around the iconic interlocking colored bricks. LEGOLAND Discovery Center Chicago combines LEGO model building and unusual construction challenges with theme park-like attractions such as the Merlin's Apprentice, Kingdom Quest, Jungle Expedition, and “Clutch Powers 4D Adventure” 4D cinema incorporating fantastical LEGO creatures and LEGO-based special effects. Special Offer - Price displayed includes a 9% discount off the local admission price! - Book Now!